November « 2011 « Dr Deborah Swallow – Global Cultural Diversity..
learning a few “hello“s in a different language will helps us build trust in our relationships with those from other cultural backgrounds. Nowadays, more than ever, our everyday encounters find us engaging with people who are different from ourselves; whether speaking from your desk to someone on the other side of the world, whether in the local supermarket or whether travelling abroad – do take a moment to learn that precious word in a new way. Our picture shows The Prince of Orange of the Netherlands receiving a hong (Maori greeting) from a Maori warrior in Wellington, New Zealand. Listen and see how many languages you can recognise out of these twenty languages: final composite hello. name of peace. That is the simple message behind World Hello Day. Started in 1973, in response to the conflict between Egypt and Israel, this day is now commemorated in over 180 countries. Taking part couldn’t be easier, but rather than just greet family or friends why not reach out to someone you know in another country and say “hello”? You can do your bit to promote peace all over the world and bridge barriers between different nationalities – you could even learn to say “hello” in a different language! 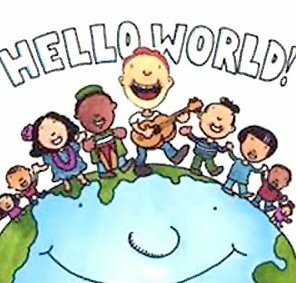 For World Hello Day why not learn to say “hello” in another language? Listen to this audio and see how many “hellos” you can recognise from the 20 languages you’ll hear. “Hello” is signed by moving the hand away from the forehead in a forward and downward motion, similar to a salute. Television is one of the most powerful communications media in today’s world and brings into people’s living rooms the everyday reality of other’s lives: be it major issues facing mankind, new fashion trends of American youth or the impact of a tsunami in the Philippines. Television is universal; meaning that, at the very least, television tells us what’s going on in the world as news stations broadcast important alerts about world affairs and conflicts. But more than that, television helps us learn quickly about different cultures and places that we could not normally travel to, giving us the opportunity to ‘experience’ what life is like as we engage with someone else’s story. Television links countries together via our TV screens. If used properly it can ‘promote mutual understanding and tolerance‘. That is why the UN General Assembly decided to proclaim 21 November as World Television Day – recognising the increasing impact television has on decision-making by alerting world attention to conflicts and threats to peace and security and its potential role in sharpening the focus on other major issues, including economic and social issues. by the Arab Spring, mean? What about the unparalleled discrepancy in earnings between the wealthiest and the ‘normal’ tax paying citizen? What does the continued lack of opportunity for the ‘have nots’ in the world do for society as a whole? These are just some of the questions we should take time to think about today: UNESCO World Philosophy Day. World Philosophy Day is a celebration of practical ideas for facing the challenges of today and envisioning a brighter future. (in the North East of England 47% of young people are unemployed) and not much hope of that changing quickly, we need to encourage young people to think differently about how they earn their money. 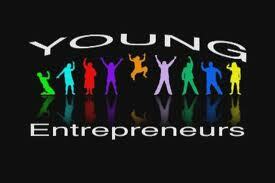 With the slogan “Starting Tomorrow’s Business Today” the Global Entrepreneurship Week begins today. Every business starts with a conversation, so start talking with young people today about their entrepreneurship dreams and get those conversations turned into actions! Only 1 in 20 young people start their own business in the UK – even though more than half of them want to. Global Entrepreneurship Week is about turning a dream into something that is achievable. random acts of kindness and love.” Today is Kindness Day, so why not perform a random act of kindness? 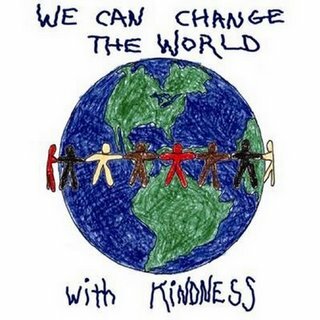 Mark Twain defined kindness as ‘the language which the deaf can hear and the blind can see.” Driven by The World Kindness Movement, the day involves people around the world showing that we can think about more than ourselves and make the world a better place because of it. this month. Wishing all countries a wonderful celebration this November! On 11th November this year, Sikhs will be celebrating the birth of Guru Nanak. Sikhism was founded by Guru Nanak, and present day Sikhism is still based on his teachings and those of the nine Sikh Gurus who followed him. Gurus Nanak is never worshipped as a God, but as a human being held in great respect. Guru Nanak was born in 1469 in what is now Pakistan. At the age of 30 he mysteriously disappeared for 3 days. When he reappeared, he began to preach the Sikh faith and spent the rest of his life teaching, writing and travelling around the world to discuss religion with Muslims and Hindus. International Day for preventing the exploitation of the environment in war and armed conflict. War has a hugely negative impact on the environment. Water wells are often polluted, crops torched, forests cut down, soils poisoned and animals killed for military advantage. 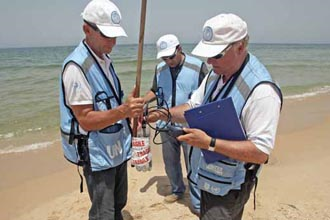 The UN Environment progamme has found that in the last sixty years, 40 percent of all internal conflicts have been linked to the exploitation of natural resources.